Learn the beautiful art of writing with a broad-edged pen to create a traditional calligraphy alphabet. 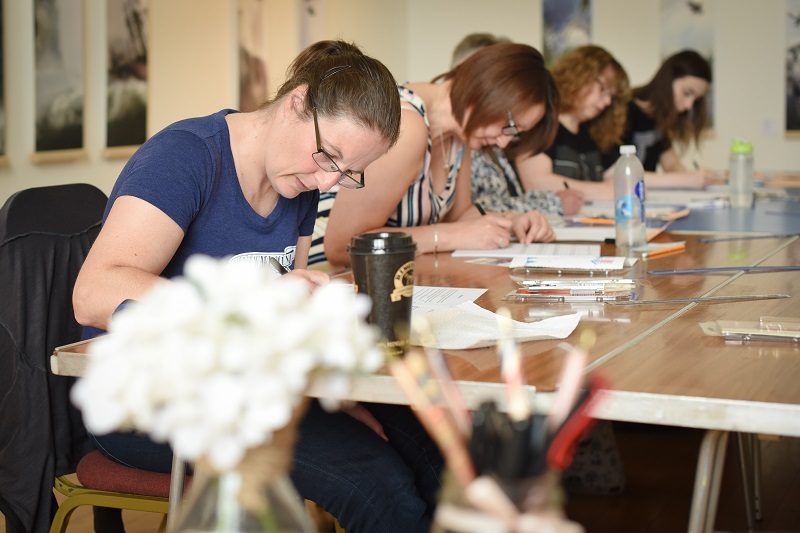 This workshop will introduce you to foundational hand, from getting started with a calligraphy pen to drawing up guidelines for practice and forming letters, building up to words and sentences. Places are limited and a £10 non-refundable deposit is required upon booking, either in person at From Loft to Loved or via PayPal to info@creative-calligraphy.co.uk.